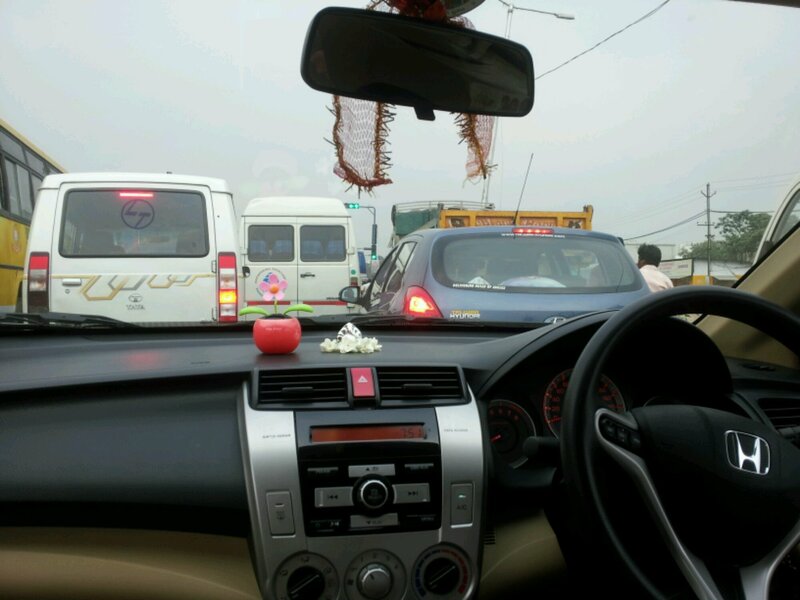 Here is the lil Ganesha on the Car’s dashboard this morning. The aromatic molecules from these flowers fill the car . Aromatherapy on the go. The aroma energizes the mind and prepares me for the day . While i inhale these molecules i realize that it is the olfactory receptors which are detecting the presence of these molecules in the air. What if we didn’t have the sense of smell or for that matter the other senses as well. The 5 senses that we have , that we take for granted , are the windows to the world around us. To us the world exists as long as these senses/windows are functioning and these are usually open as long as we are alive . But these 5 senses don’t seem to take us anywhere close to knowing the origins of the universe. All that we know about the universe is limited to what our senses can perceive and to whatever is being discovered by the instruments/devices invented by us. The mysteries of the universe are never ending. I strongly believe that we do not have the required/sufficient ‘Senses’ to discover the secrets of the universe. Our faculties are limited and we may never ever know . Just the way a cell in my body is just not aware of my existence. It is born, it grows, carries on its activities, divides and then perishes , never ever knowing that it is part of ME , a shutterbug, a being that is as good as a universe to the teeny weeny cell. Reached my Office building. I take a loooong breath and step out of the car.